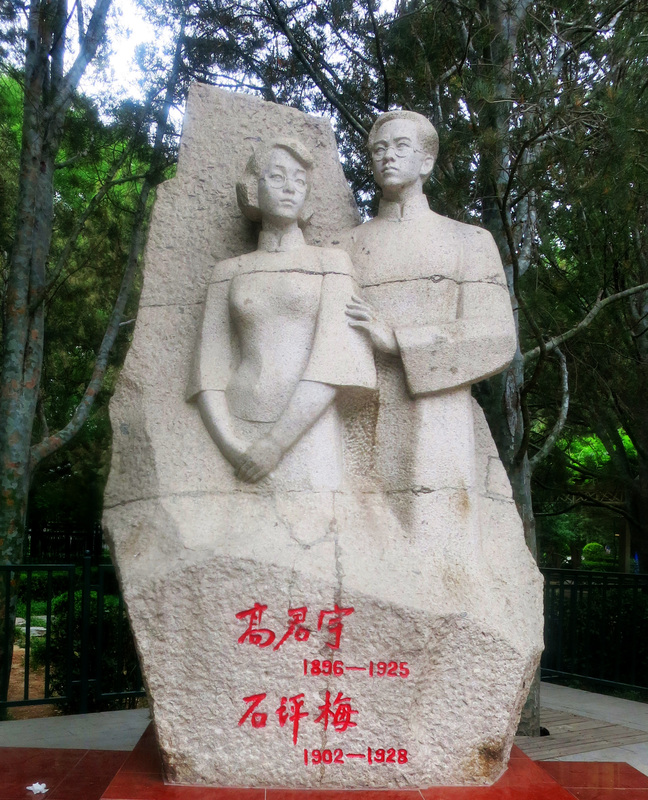 (Park of Chinese Famous Pavilions: Pavilions have a long history and glorious artistic achievement. Extensively scattered across the country, they are always appreciated by people for their beautiful shapes. 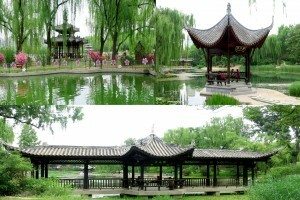 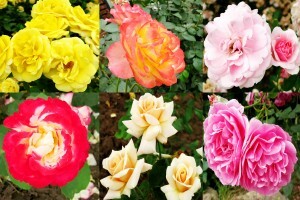 Taoranting Park is a comprehensive park with pavilion scenery as its main characteristic. 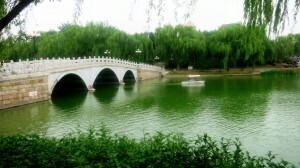 The Park of Chinese Famous Pavilions is the most famous scenic spot. 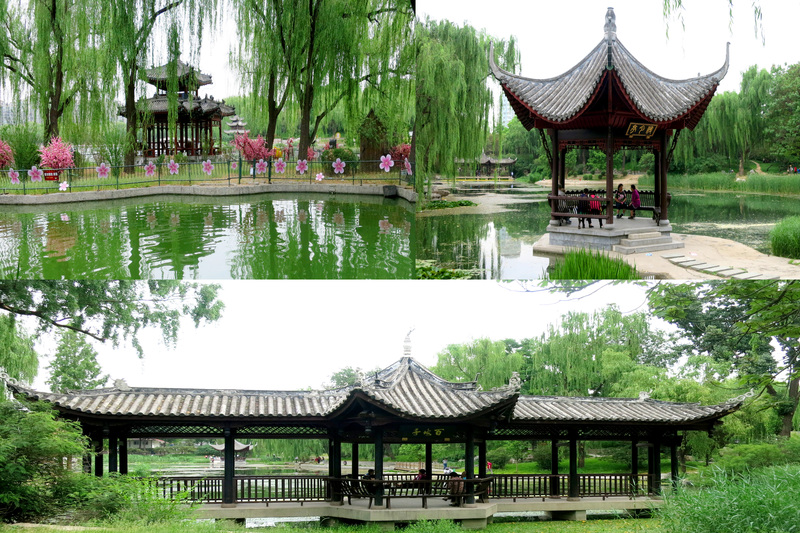 Pavilions in the Park of Chinese Famous Pavilions are modeled on over ten famous pavilions in the country. For example, the I-Sober-Alone Pavilion in Miluo, Hunan Province which was built to commemorate Qu Yuan, a great poet in the Warring States Period; the Orchid Pavilion and the Stele Pavilion of Goose Pond in Shaoxing, Zhejiang Province which were built to commemorate Wang Xizhi, a famous calligrapher in the Jin Dynasty, the Shaoling Caotang Stele Pavilion commemorating Tang Dynasty poet Du Fu in Chengdu, Sichuan Province; the Second Spring Pavilion in Wuxi, Jiangsu Province which was built to commemorate Lu Yu, a famous man of letters in the Tang Dynasty (he was also called the God of Tea); the Immerse-In-Moonbeam Pavilion in Jiujiang, Jiangxi Province built to commenmorate Bai Juyi, a poet in the Tang Dynasty, the Old Tipper’s Pavilion in Chuxian, Anhui Province commenmorating Ouyang Xiu, a famous man of letters in the Northern Song Dynasty, the Banished Immortal Pavilion commemorating the Immortal Poet Li Bai, which was built by the Beijing Institute of Landscape Design and Research; and the Cloud Painting Tower & Clear Sound Pavilion in Zhongnanhai. 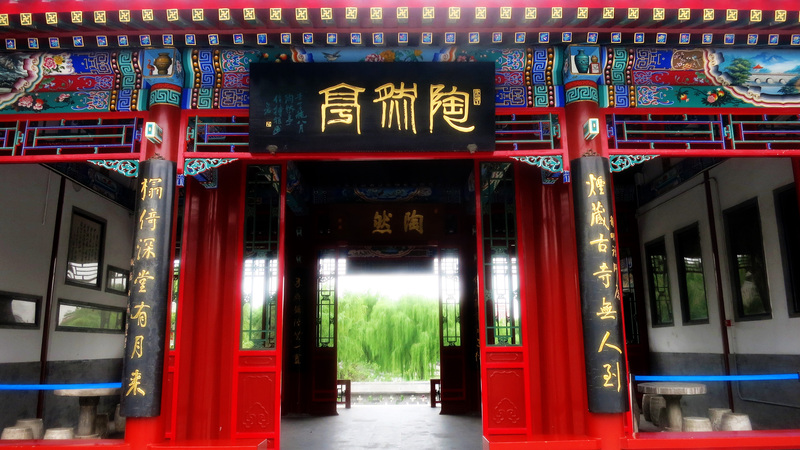 Graceful pavilions hiding in the thick bamboo woods bring extraordinary splendor to visitors. The beauty of pavilions blends harmoniously with the rest of the park, presenting marvelous scenery.